I’ve had a desire for several years to make my 30 minute therapy sessions more routine oriented. I want students to know what to expect when they get to speech. I want them to start working as soon as they enter the room, while I frantically gather the rest of my materials. I want them to feel secure in knowing at least some of what we’ll be doing each session. They take too much time to learn. My students change every 30 minutes. I don’t have time to enforce them. My lesson plans vary so much throughout the day and week. Studies show that routines help! So how can the SLP or Special Educator use effective routines? 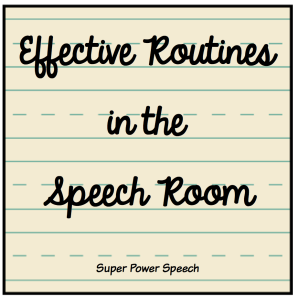 Thus far, I have focused my speech routines on my Daily Speech Club and weekly Language/Social Skills homework. 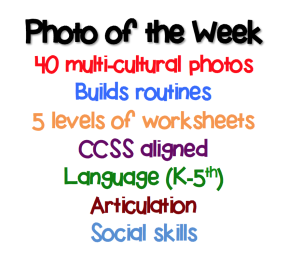 Option A: Use the photo and leveled posters (CCSS aligned for language skills K-5th, plus social and articulation posters) at the beginning of each small group session. Option B: Use the photo worksheets to send home for weekly practice on language, social and articulation goals. Either way, the students will have a routine that does not change from session to session. 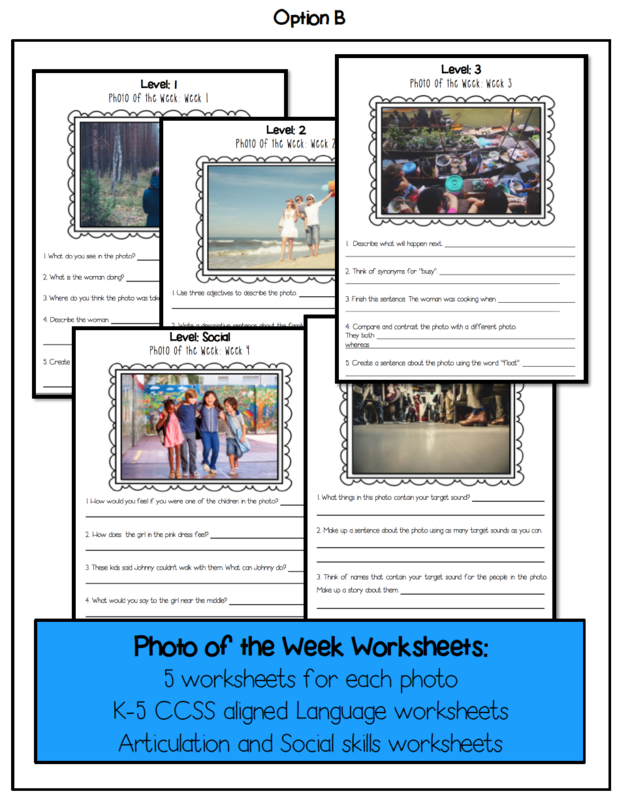 It gives the SLP or Special Educator time to gather materials or wrap up data, while the students do a familiar activity that is also working towards their goals! 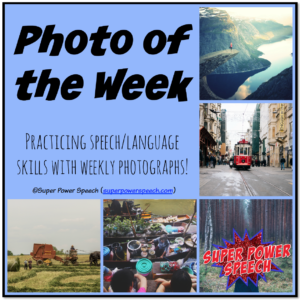 Purchase your copy of “Photo of the Week” here! 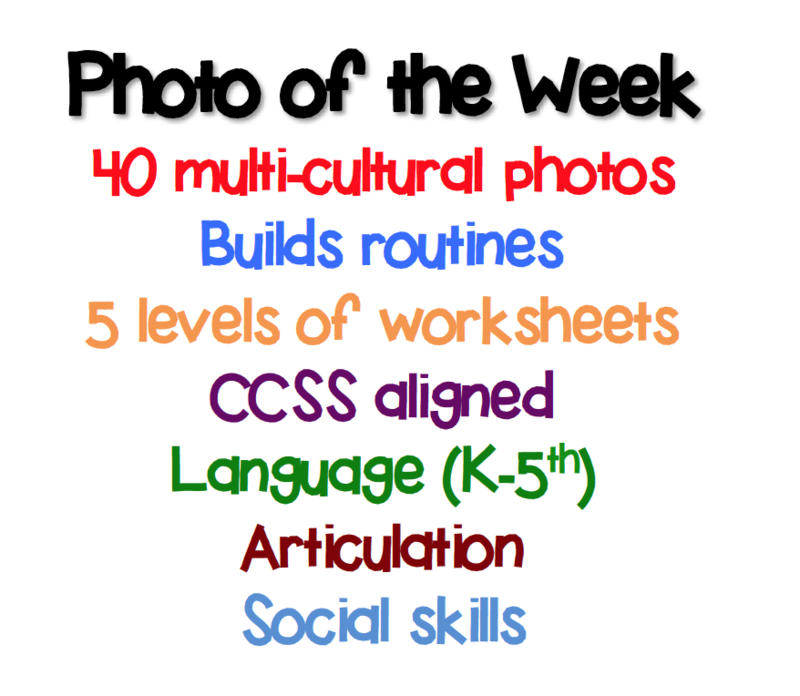 Also make sure to check out “Story of the Week” as a follow-up for Photo of the week! Great for all levels and add story comprehension and retell to the routine! Do you use any routines within your small group sessions? Which ones are the most effective? Fabulous idea and very well written post! Thank you! Took your suggestion and it’s going well so far. I used you idea. It went really well. I wanted to incorporate writing with my Functional Skills students and this so well. I can’t wait to see how that turns out! Great idea! I’m going to incorporate this at the beginning of the year. Thanks for sharing your ideas with other SLPs! 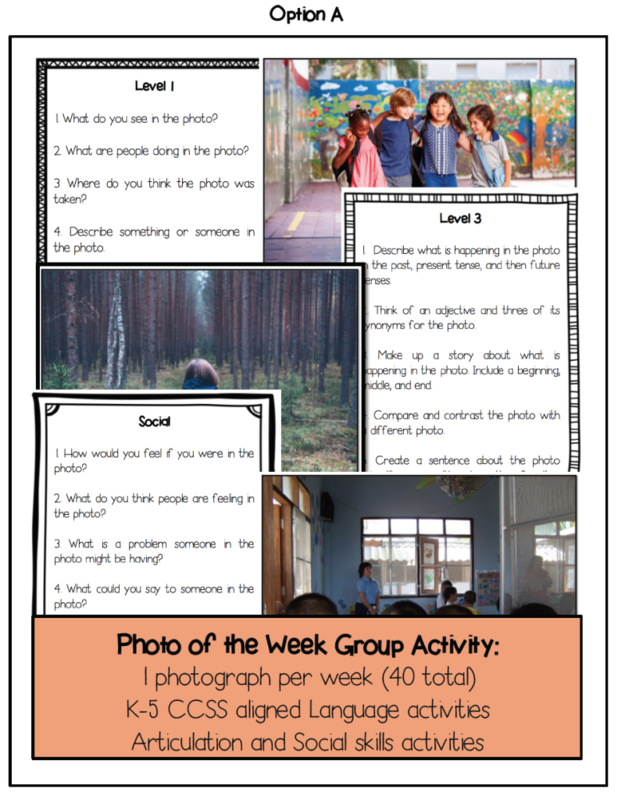 When you use the photo of the week, how much time does this take for the group? Is each student writing their own answers or is it a group discussion! I think these are great, but I don’t know that I would use them daily. I’m just thinking that with a group of 3-4 that may be about all we get accomplished. I usually use it on our walk down the hall into the speech room and finish when we walk through the speech room door. Sometimes, however, I make it in the entire 30 minute activity!